The American poet and philosopher Eli Siegel founded Aesthetic Realism in 1941, and central to his theory of the arts is the principle: “All beauty is a making one of opposites, and the making one of opposites is what we are going after in ourselves” (Siegel 1997: 13). Mahler’s Sixth Symphony, as I intend to show, exemplifies this idea. As one studies its reception history—and it is a full century now since its May, 1906 premiere —one fact stands out boldly: the consistency with which the symphony has been described as a drama of opposites. This holds true whether the description was primarily of aesthetic import or of technical design. For example, in 1930 Herbert Antcliffe wrote of how the work “justifies its own intricacy through its broadness of outlook.” This is a statement of musical dialectics: an assertion that one aesthetic quality is strengthened through the presence of its opposite. Detail and whole, says the British musicologist, help each other in Mahler’s composition. Two years later, in a German text devoted straight-forwardly to technical issues, Moderne Harmonik, Edwin von der Nüll described the stark and yet veiled manner in which the composer mingles major and minor in this work (von der Nüll 1932). Here both the material and the artist’s approach to it are described in terms of vivid technical contraries. A year earlier, 1913, Richard Specht had written of the dramatic “mixture” of “the highest yearning and the deepest desolation.” And concerning the Scherzo he took particular note of how “clumsy, rattling immensities” of sound were joined to sonorities that were “dainty, skipping, well-behaved” (Specht 1913: 293). Around the same time, Paul Stefan argued that while the symphony was likely the strictest of all of Mahler’s compositions, it was yet “powerfully inspired.” He continues by noting that “twilight sounds full of mystery mingle with merciless march rhythms” in its opening movement; and over the course of its Finale the “search for peace” eventually is overwhelmed by “an incessant roaring storm” (Stefan 1912: 123-125). High and low, yearning and desolation, immensity and daintiness, clumsiness and good behavior, peace and storminess, twilight mystery and merciless blatancy, the passion of spontaneous inspiration and the cool level-headedness required for strict command of formal musical materials—these opposing qualities were felt by Specht and Stefan to be central to the impact of the symphony. The language used by these early commentators is post-romantic; they emphasize the emotional content of the work and its immediate sonic reality—its “phenomenology.” But those who have grappled with the Sixth Symphony on more deep-seated, abstract, structural grounds have also found themselves impelled to use dialectical language. If we leap ahead some ninety years, we find Warren Darcy in 2001 writing of how “the rotational process of the Andante…relies exclusively on the recycling of two maximally differentiated thematic blocks.” Moreover the final rotation “brings us to the telos or structural goal of the movement: the reconciliation or synthesis of these two thematic blocks” (Darcy 2001). If musical materials are “maximally differentiated” and the goal is to “reconcile” them, then Darcy is observing the “making one of opposites,” though using different terminology to say so. The opposites here are concision and expansiveness; impersonal, abstract rigor and highly personal, “subjective,” feeling. Their junction, Hailey implies, is why the symphony is worthy of praise. That sentence was about the Scherzo, which he also calls a “forerunner of similar antithetically conceived pieces” in Mahler’s later work (Redlich 1963: 207). The use by Redlich of “antithesis” is a classic way of acknowledging the dynamic presence of opposites—just as earlier other terms were used: poles; tension; etc. What matters, of course, is not the terminology, but the reality behind it: the dialectical reality. As a final contribution to this compact reception history, there is Peter Andraschke’s 1978 essay “Struktur und Gehalt im ersten Satz von Gustav Mahlers sechster Symphonie.” Andraschke concludes that we can discern—even in its opening phrases—“the fundamental idea of the entire symphony….the striving and struggling towards a goal, and at the same time the fruitlessness of being able to hold on to its attainment” (Andraschke 1978: 214-215). The symphony expresses how “for mankind there exists this constellation: the struggle for life and existence and, on the other side, the hope for happiness now and at all times” (Andraschke 1978: 232). While I do not agree with every aspect of Andraschke’s interpretation, his use of the word “constellation” is very taking, and deserves commentary. The word implies (etymologically) a “shining together,” a sense of diverse things joined in a beautiful and brilliant manner. And yet, this is a “tragic” symphony. That humanity can express its most tragic moods beautifully—can, through aesthetic activity, find pride-giving, pleasure-giving form in material which otherwise might easily seem only painful and depressive—is evidence for what Eli Siegel passionately argued: that the deepest and greatest desire of every person is to like the world on an honest basis, and that the way to do this is through the study of aesthetics as “the making one of opposites.” And Mahler’s Sixth Symphony can stand as a touchstone—for its tragic conclusion in no way alters the fact that for listener after listener the experience of the work was thrilling and full of life-enhancing pleasure. Perhaps nothing is more important in the realm of aesthetics than the power of art to coordinate the pleasure and pain of things; the goodness of life and its evils, imperfections, agonies. As Aristotle was the first to imply in his Poetics, tragedy takes on these contradictions and composes them: pain and pleasure, senselessness and form, grandeur and weakness, emotional desolation and the feeling of pride and self-respect. With this in mind, it is not surprising that Alma reported that upon completing this most heart-wrenching of symphonies—(“the first genuine ‘tragic symphony’ to be written” (Cooke 1988: 85), said Deryck Cooke)—Mahler “was serene; he was conscious of the greatness of his work. He was a tree in full leaf and flower” (Mitchell 1971: 70-71). I now focus on Mahler’s tonal planning in the Sixth Symphony—his long-range design of key relations. In that design symmetry and disorder; tonal weakness and strength are inextricably joined; and it takes no more than five beats for the basic seed to be presented from which the entire symphony will grow. It is the pitch A (here presented in the bass register in octaves) suddenly modified by a chord above having F as its root and C as its highest and melodically most prominent note. A is, of course, the tonic of this symphony. Thirds surrounding a central tonic—this, in evolution over time, will prove to be its essential tonal drama. The idea is so elemental, so protean, it cannot even be called a “Grundgestalt.” It is more like an elemental “premise.” For when A and F are enriched through motion towards a yet lower third, D, we have the central keys of the opening two movements. Symmetrically balancing this and completing the tonal design, when A and C are enriched by yet a higher third, Eb, we obtain a second "triad of tonalities," which represents the main tonal activity of the concluding movements. How architectonically satisfying this design is. Yet symmetry by itself never made for drama—let alone the heart-pounding, tragic drama this symphony enacts. So what else is present? A "tonal contender" which lingers on the scene almost to the very end, threatening to redirect the gravitational center of the composition towards itself. That rival of A, the true tonic, is D, the "lowest" note of the two "triads" described before. Critical to Mahler's tonal design is a paradox. While these two "triads"
Herein lies the technical challenge Mahler set up for himself, and also the cause of his ultimate artistic triumph. For the "triad" A to D, leads away from the true tonic; moreover, it is an “acoustically strong" triad, outlining a perfect fifth. Thus the lowest key center, D, seems a very convincing place to rest. Too convincing, in fact, for comfort. On the other hand, the triad with which he descends to his true tonic, A, is outlined by a very equivocal interval: the diminished fifth, Eb to A. Mahler must therefore go to extraordinary lengths—(literally, in terms of duration, and also technically, in terms of harmonic “sleights of hand”)—to find a way to make that final descending tonal arc convince us of the work's true tonality, despite its tritonal outline which tends to do just the opposite: to negate any strong definition of tonality. Through the most meaningful of musical ironies, that unstable and tonally ambiguous Eb will prove the means by which Mahler ultimately grounds his true tonic. Weakness will become a source of strength. Nor, as this essay will later explain, was this only a “technical” victory. For these opposites—weakness and strength—were the dramatic substance of Mahler’s own life; and perhaps never so keenly as in the years surrounding the composition of this very work. So dramatic—and so cosmological, in his opinion—were the implications of this symmetrical use of tonality, that Simpson observes: “The three tonal protagonists, A, C, and F, seem more like dimensions than keys” (Simpson 1986: 47). The presaging of Mahler goes even further. In Beethoven’s opus there is also a prominent structural use of the key of D, approached likewise not in the traditional manner—as an immediate subdominant—but as the deepest point in a falling cycle of thirds. (A minor is the key with which Beethoven concludes his second movement, and F and D are juxtaposed in the third.) And while the key of Eb is never established in the symphony, the desire to counterpose the pitch Eb to that of the tonic is clearly present. Near the end of the work (m. 389-417 of mvt. 4) Beethoven prominently marks D# by repeatedly insisting on it as the deepest of a two note bass register ostinato. This sets up a long dominant pedal which leads, just measures later, to the symphony’s joyous, conclusive affirmation of its tonic. To my knowledge, no earlier work by Beethoven—or, for that matter, Haydn and Mozart—had featured the sharpened fourth so obsessively in the bass so near to its ultimate cadence a tritone away. Beethoven took the tonal risk. Mahler, as this essay implies, raised the stakes hair-raisingly higher by emphasizing the tritone while denying himself any significant structural use of the dominant. Mahler loved this symphony of Beethoven. He felt it had been misunderstood, and championed it. In fact he performed it on April 4, 1903—just weeks before he abandoned the hurly-burly of Viennese concert life for the rural quiet of Maiernigg to begin work on his Sixth Symphony. All this is deeply suggestive. And yet it is striking that technically akin as these symphonies are in their “deep tonal logic,” their immediate “moods” are ever so contrasting—one eventuating in dithyrambic joy, the other in desolating tragedy. As famous as any moment in Mahler is the “fate motto” of the Sixth Symphony. It has become as nearly emblematic for him as the opening of the Fifth Symphony is for Beethoven. Every commentator has been impelled to describe that “fate motto” in terms of opposites. The sudden juxtaposition of strength and weakness, assertion and mutedness, blunt immediacy and a mysterious, swift motion into the distance, is patent—as is Mahler’s careful effort to have these opposing qualities arise out of each other seamlessly. In terms of the hermeneutics of this motto, we should remind ourselves that in western music theory major and minor have long been implicitly linked to ideas of hardness and softness—“Dur” implying strength, “Moll” implying yieldingness, a “giving way.” Every listener, once he or she has a basic familiarity with the language of Western symphonic music, can feel the “life” equivalent of the “acoustical” situation Mahler has created: the sudden shock of strength turning to weakness; the stark dichotomy of proud self-assertion and the retreat into mutedness, even shame. As Aesthetic Realism sees it, the opposites are inevitable in any honest description of music because they are the philosophic bedrock of all possible experience. And this—the ontological meaning of opposites—is the deepest “context” for the arts: a context which precedes and transcends (even as it includes) any particular historical or cultural context. Thus, in any century and on any continent, musical form has depended on the conjunction of such matters as change and sameness, unity and multiplicity, speed and slowness, foreground and background, separation and junction, nearness and distance—and also, by implication, hardness and softness, strength and weakness. If we want to develop a truly scientific musicology—one that can go from technical statements to statements about the value of a work, without recourse to an entirely new set of intellectual premises; a musicology deep enough to begin at a point prior to that of cultural divergence—we need to recognize that these and other “bedrock” antitheses, so necessary for the structural understanding of music, also form the core of our emotional response to the art. Thus, from the perspective of Aesthetic Realism, Mahler in the Sixth Symphony not only set himself an abstract, artistic problem to be resolved, he also was dealing—through the symbolic language of music (and its particular early 20th-century, western European “dialect”)—with psychological and ethical issues. Issues critical to his own life and to ours; for who among us is unconcerned with strength and weakness, with asserting oneself and yielding? Who would not want to make beautiful sense of how life is both orderly and uncertain? “The world, art, and self explain each other; each is the aesthetic oneness of opposites”—said Eli Siegel (quoted in Kranz 1969: 1). Mahler’s symphony, I am arguing, points to the validity of this philosophic statement, and the evidence is both technically within the work and also to be found within its reception history. For commentator after commentator has implied that Mahler’s great artistic achievement has ethical and philosophic significance. Later, I’ll return to this crucial insight of Norman Del Mar—for it is true: the sheer junction of personality and universality in the Sixth Symphony makes it, arguably, Mahler’s masterpiece. In fact, Deryck Cooke, in his Gustav Mahler: An Introduction to His Music, writes along very similar lines (Cooke 1980: 85-86). However, in this author’s opinion, neither Cooke nor Del Mar asks sufficiently what Mahler’s artistic triumph might mean to an “average” person struggling, in his or her own life, with exactly the same “tragic” issues. That Mahler felt the need to give himself to reality, to create works which would embody—as far as it was within his power to do so—the full scope of the world around him, can be seen through his famous statement made to Sibelius in Helsingfors in 1907: “A symphony must be like the world, it must embrace everything” (quoted in Shapiro 1978: 52). As we shall see, Mahler’s symphonic logic in the Sixth Symphony is directly in keeping with Schopenhauer’s understanding of Beethoven. Mahler, too, brings together qualities most often seen by people as separate and in antipathy—qualities Schopenhauer implies we must grasp as one if we are to have “a true and complete picture of the world.” And the “fate motto,” as I implied earlier, does impel a listener to experience opposites together. It would be foolish to elevate the abstract aspect of music over its emotional content; or to do the reverse. The true relation is reciprocal; the emotion explains the tonal architecture; the abstract form, the emotion. /  So it is on the basis of the inter-explanatory nature of opposites that we now investigate in more detail the structure Gustav Mahler has given his symphony. Let us begin by observing that the absence of the “secure” perfect fifth in the triadic arc which outlines the large-scale tonal motion of the second half of the symphony helps explain the heart-breaking quality of the key of Eb whenever we meet it. Its music seems full of sweetness and peace; it is the key of the Andante, also of the surprising "idyllic core" of the first movement. Yet Eb is in an inherently unstable relation to the symphony’s ultimate tonic: A. What might this mean in terms of the emotional drama an audience experiences? This—the instability and lack of “firm footing” of that tritonal relation leads one to feel that the sweetness and the repose of Eb will ultimately prove an illusion. And yet, it is through this “dubious” key that the tonic is ultimately affirmed: Mahler fights off the “rival” tonic of D by means of a “cadential arc” which begins precisely with that “weak” Eb. Now consider the opening two movements. By contrast, they highlight the A→F→D configuration—which compel a listener to give tonal weight to D: the “rival" tonic. Only "heroic" efforts pull us back, at the end of each movement, to cadence in A, and in each case through the presence of a large-scale motion of Eb→C→A. I have been outlining the architectonics: the impersonal form of the work. But this work arose from a person—and so it is necessary to reaffirm something once obvious, but more recently largely forgotten: a major work of art cannot be impelled from an absence of intense personal emotion. The energy of self needed to accomplish it would be lacking. That Mahler himself had no doubt of this is clear from a letter he wrote to Bruno Walter informing his younger colleague of the completion of the Sixth Symphony. In it he says simply: “what one puts into music is one’s whole (feeling, thinking, breathing and suffering) being” (La Grange 1995: 527). An idea much bandied about on campuses now-a-days is that we needn’t take the personal intent of the author centrally into account as we try to grasp the significance of a work of art—the “Death of the Author” trope. It has also been called, in a more nuanced way, the “intentional Fallacy.” Yet however it is put, this idea is at heart a confession of ingratitude. It is after all Mahler’s symphony; he cannot help but show some deep purpose of self in it. In fact, every action of any living being in some way is an expression of an inward purpose. That is what, centrally, differentiates the organic from the inorganic. Before we marginalize Gustav Mahler—by describing the work exclusively in cool, structural terms; or terms so drenched in sociology that his personal vision is rendered irrelevant; or worse, by arrogating to ourselves the power of making the work meaningful by asserting that its value resides in what we choose to bring to it, our unique reading of it—(and weird as this point-of-view is, there are some post-modernists who seriously maintain it)—well, before we do any of that, we owe it to Gustav Mahler (or any artist) simply in terms of normal human ethics to do our best to see what the work first meant to him. We do know from Alma that Mahler wept uncontrollably after the dress rehearsal for its premiere. Those tears were as real as the notes on the page. And certainly as real as any “reading” we choose to make. How then, should we approach the Sixth Symphony? First, by asking about it what we should ask of any work of art—What conflicts are present in its very texture and structure? What gives it dramatic urgency? Aesthetic interest? If, as we engage a work on this “abstract” or “technical” level, we recurrently encounter a certain interplay of opposites—perhaps of weight and lightness, or speed and slowness, or intensity and calm—we can presume that this particular “dialectical” situation is key to the meaning of the work, and that this specific conflict of opposites passionately interested the artist from whom the work arose. Interested him or her not merely on a “professional” level, but also on a personal level. If in addition, we see that critical commentary across the entire reception history of that work highlights the same opposites, then we have doubly solid reason to believe we have penetrated to a core of enduring meaning—something that truly is of the work itself, and not merely of a private or transitory “reading” of it. A work of art, then, is a sincere attempt by a person (and perhaps a largely unconscious attempt) to reconcile contradictory aspects of life; of the world as he or she has experienced it. These contradictions may be intensely personal; at the same time they always correspond to, and reflect the enduring structure of reality. We could not feel the pain of separation from another were separation and junction not, in a prior sense, in reality itself. We could not feel harsh and also tender, had not the rose preceded us with its thorn and petal. It is precisely because our feelings belong at once to ourselves and to reality, that the sincerity of one person has a value for all persons; there is in true art, as Norman Del Mar implied, a coming together of personality and universality. It is my considered judgment that the central drama of the Sixth Symphony concerns the opposites of strength and weakness. We may not (in fact, do not) know precisely what strength and weakness meant to Mahler at the time he created this symphony. What we can be confident of is that an artistic answer to this very human contradiction mattered greatly to him. And as we survey Mahler’s life as a whole (let alone the period during which this symphony was written) it is clear that these very opposites were a source of great personal confusion and anguish. He therefore had reason—deep, pressing reason—to engage his artistic energy towards making beautiful sense out of that conflict. “The resolution of conflict in self,” Eli Siegel explained, “is like the making one of opposites in art” (quoted in Baird 1971: v). The implication is that through the study of aesthetics, ethics can take on greater clarity and efficiency (see http://www.edgreenmusic.org). Meanwhile, as history witnesses, artists have not been clear about the fundamental unity of aesthetics and ethics, with the result that it has been a rare thing for an artist’s life to be equal in beauty to his or her art. Mahler, like many people, associated strength with the ability to domineer—to bend other people to his will. Not surprisingly, there was objection and resistance. Nor was Alma, in her wifely relation to Gustav, the only person who endured his disposition towards tyranny. His players felt it, and bided their time until they could “even the score.” Taking advantage of his having suffered a severe hemorrhage, requiring a sick leave, the players of the Vienna Philharmonic in March, 1901 seized on the moment to vote in a “successor.” Mahler had little choice but to resign his post. This, at a time when he also was scoring triumph after triumph at the Opera. “Power,” wrote Eli Siegel in the chapter “Psychiatry, Economics, Aesthetics” from Self and World: An Explanation of Aesthetic Realism, “is not just the ability to affect or change others; it is likewise the ability to be affected or changed by others. If a person’s power is only of the first kind, his unconscious will be in distress” (Siegel 1981: 276). Mahler was never sure tenderness of mind was strength for himself. Nor did he see how his ability to intimidate others caused weakness in himself. As Alma observed: “He had wielded power so long, encouraging only abject submission on every hand, that his isolation had become loneliness” (Mitchell 1971: 6). In his biographical study, Ernst Křenek implies that Mahler suffered because others resented “his superiority” (“Gustav Mahler”. Included in Walter 1973: 202). This cannot be gainsaid—for part of the trouble humanity has had about strength and weakness is the false (and largely unconscious) equation we make that honest strength in another must imply weakness for oneself. And yet the human unconscious also harbors an equally hurtful equation, only in the reverse: that seeing other people in a position of awkward weakness relative to ourselves is proof of our superiority and strength. As Walter’s story clearly shows, though he was certainly a recipient of ill will (including of religious prejudice), Mahler himself could be a source of gratuitous cruelty. Which means that Mahler made the choice to use beauty in an ugly way—to exploit his undoubted talent in behalf of vanity and ego superiority. To use one’s art to think less of other people is to betray the very meaning of art, and to do so is to despise oneself. For great art simultaneously expresses the unique vision of life and of reality had by its creator, yet also expresses what human emotion fundamentally is, and what the world fundamentally is—both of which are shared by all people. That Mahler did despise himself for making unnecessary and ugly divisions between himself and others, between art and life, is evidenced by the agony of his inner life. He sometimes had hallucinations of himself as dual, with his double trying to force its way to him through the walls. Bruno Walter writes of the violence of the headaches Mahler would endure moments after he had been particularly vehement with someone. And to his sister, Justi, Mahler wrote at age 31: “I am condemned to be alone everywhere. I accustom myself to this idea with as much pain as that of attaching myself to someone” (La Grange 1973: 247). Mahler passionately hoped someone would resist his autocratic tendencies, and when someone did—to his credit—he fell in love with her. Alma was not correct in thinking only her “youth and beauty” had affected him. Her criticism did, too—and I believe even more centrally. As the “autocrat of the Opera,” Mahler had been used to silencing people whenever he chose. Yet despite his power in artistic circles, and the fact that he was 18 years her elder, the young Alma Schindler was not cowed. At their very first meeting, at a dinner party thrown by the Wittgensteins, she told him he had been unjust to the composer Zemlinsky. “You have no right to keep a score that’s been submitted to you for a whole year,” she protested in front of the entire dinner party. “He is a good composer, and you could at least have answered him” (La Grange 1973: 665). Mahler was so affected by her unexpected candor and criticism that he could not sleep. He had never met such friendly opposition to his contempt, and, very much to his credit, he liked it. He felt—in a way he never had about any person before—that she could complete him, and soon he asked Alma to marry him. She agreed. And then something heartbreaking occurred. Mahler, it appears, could not sustain his pleasure in having such large respect for this young woman; could not sustain the emotion which, Eli Siegel observed, is the very essence of love—the feeling of “proud need.” A feeling, quite clearly, that puts together the assertive self and the yielding self. Adding to the ethical horror, Mahler had never even bothered to look at Alma’s music. “What have I done?” Gustav told Alma when he finally looked at her songs after years of marriage. “These are good!” (Mitchell 1971: 176) He begged her to return to composing; he arranged for performances of her work—also for publication. But despite his haunted, passionate desire to atone for the injury he had inflicted on the one person who had stirred him most deeply with her meaning, Mahler never knew how to give clear and effective form to his overwhelming self-criticism. Despairingly he said, “My life has been all paper…paper” (Mitchell 1971: 197). However one chooses to takes the powerfully charged (and somewhat mystic) story that Alma relates—that Mahler seemingly anticipated in the Sixth Symphony the terrible “blows of fate” that would befall him in 1907 —this much can reasonably be asserted: while he may not have been able to foresee the details of the future, he surely was impelled to think of himself as someone who should be punished by fate. The question, of course, is why. This is art—the oneness of self-abandon and self-assertion; of a narrow notion of self being joyously put aside so that a larger idea of self can assert its powers of sympathetic imagination. The pain of Mahler’s life indicates that he never realized how thoroughly this ethical and artistic state-of-mind could be gone after in “ordinary” circumstances. He did not bring the same aesthetic passion to the everyday moments of life that he brought to music. We are now in a better position to return to the “abstract” design undergirding this work and see how, even as it is expressive of a tonal conflict of strength and weakness, it also embodies a symbolic resolution of that conflict. The core tonal drama, again, is the contrast between a stable and “strong” triad of tonalities (A→F→D) ands its unstable counterpart: (Eb→C→A). The massive irony is that what seems weak is, in fact, the means by which the true tonic is affirmed, while what seems strong can lead one tonally astray. The resonance with Mahler’s life is, I hope, apparent. Earlier I described this design in “large-scale” terms. But its elemental “genetics” is also reflected throughout the symphony in smaller structural units, giving the work a complex unity. Consider m. 6-13 of mvt. one: we begin in A minor, feel a motion to F, and then a strong pull to D minor, only to be suddenly wrenched back, in measure 13, to A minor by the stark impact of that falling seventh in the upper strings and celli, marked fff. This same tonal motion plays out over the course of the entire exposition of this movement. It is cast in two large sections: A minor and then F major. (m.1-76; 77-120.) At the very end however (m. 121-122) Mahler suddenly creates an "undertow" towards D minor. Due to the repeat mark, that key it is suddenly deflected, and we are wrenched back to A minor for the repeat of the exposition. And looking ahead to the fourth movement, we see that the "lure" of D, and the need to deflect it, takes on an even more monumental character there. Thus we come to the famous "hammerblows." Scholarship has determined that Mahler had considered as many as five for the Finale. The score, however, contains just two—or rather had three, but soon after the premiere Mahler chose to suppress the third blow. /  While many theories have been given for why he edited out those “extra” hammerblows, I would like to suggest a technical explanation which goes along with the logic underlying the core tonal and emotional drama of the piece. The two remaining hammerblows occur at moments when the music seems poised, with overwhelmingly sonic strength, to resolve in D—and yet at just these points the music suddenly is deflected from that tonality. The hammerblows which strike at these moments of deflection thus highlight the crisis: the greatest—one might even say, the most desperate—tonal struggle in the symphony. D, as the subdominant of A, has the potential to become a “shadow” tonic—since it lays a perfect fifth below the true tonic. The ear thus tends to feel any “pull to the subdominant” as an attempt to reach a “deeper repose.” This being so, there emerged, in the “common-practice era,” the tendency to emphasize what lay on the “other side” of the tonal wheel—the dominant, as a means of contradicting the subdominant, and stabilizing the tonic. This is why in this symphony the presence of Eb instead of the “true dominant” E is so crucial; for by denying himself a true dominant Mahler has only made his task harder. He seems to be struggling against impossible “tonal” odds. If we return to Example 2, and study the large tonal motion within the concluding movement, we can see how dangerously placed the key of D is—for it concludes the massive exposition, opens and concludes the development, and is present (by implication) at the onset of the recapitulation. Mahler gives it enormous prominence; any further prominence and the entire tonal structure—striving to fulfill its final descent from C to A—would be pulled irremediably “off-center.” Thus a titanic force is needed to prevent D from gaining any further strength; that force is symbolized by the hammerblows. The first of these occurs at measure 336, as the bass resolves to D after a strong preparatory dominant 7th. Yet the trombones, with their sustained Bb, question the complete authority of D, especially as they quickly take us, via Ab, to G major. Then a variant of the "fate motto" on the upper brass brings us, a mere two bars later, to a Cb major chord. Two more bars and we reach F minor. The looming triumph of D has certainly been undercut through this swift set of modulations. If we look at m. 479, the second of the remaining hammerblows, we see the same tonal drama—intensified, as befits its later placement: for a full cadence in D, so near the end, would certainly threaten the stability of the final tonality of A. Yet at first, that is exactly what seems to be happening! Mahler has built-up a powerful cadence pointing to D. Since here the struggle to overcome the pull, the vortex, of D is more critical than before, the composer calls upon more powerful forces of deflection: a tuba is added to strengthen the three trombones, and the bass resolves not to D, but Bb. If we examine the three other moments Mahler considered for hammerblows, yet excised, we see none of them involve a moment in which “heroic” tonal struggle is needed to counteract the “lure” of the subdominant. (The “third”—and “suppressed”—hammerblow, at m. 783 would have been at an uncontested tonic harmony.) If I am correct that the pull towards D represents a tonal crisis throughout the symphony—a false security, a false point of repose—then we see why the only hammer blows to survive Mahler’s excisions were placed exactly where they were: to highlight these very moments of “crisis." Earlier I had written that the key of D was present “by implication” at the recapitulation of this finale. To explain more fully what I mean is also to see in a new light the awesome tonal drama of this movement: for Mahler brings a new “marker of fate” to it. We hear it in the very first measure: a German 6th built on Ab over a C bass. By implication, this is clearly in the tonality of C. And the chord reappears, transposed down to A, as the Coda to this movement arrives. C to A: this is tonal closure the movement achieves; the final motion on the descending tonal arc of Eb→C→A, which characterizes the second half of the symphony. In fact, so important is the motion from C to A, that the exposition of this Finale travels it three times, with no other tonal center having any structural significance. But the disruptive force of D will not retire from the battlefield so easily. Twice, in the center of this Finale, that new “fate chord” intervenes, but now asserting D as its bass: at the opening of the development and at the opening of the recapitulation. Thus D yet again threatens to become primary, to overwhelm the true tonic. The struggle is perhaps most obvious at the moment of recapitulation—for the chord above is the German 6th of C (and thus part of the “correct” tonal motion) while the bass is that disruptive D.
As previously mentioned, it is noteworthy how little use Mahler makes of the "true" dominant key—E, the one extended use if it being, in actuality, Fb major. E is constantly "upstaged" by the semitonally inflected flatted dominant: Eb. This is part of the work's "tragic" design, made as "ironic" as can be—for in the third movement we seem to reach a haven of peace after the storms and mockery of the opening two movements. Yet it is illusion, for this world of peace is built on the quick-sand of a tritone, Eb relative to A: the most "unstable" harmonic relation in Western tonality, the "diabolus in musica." On the subject of this tritone, it is notable how often, on a melodic basis, Mahler chooses to highlight A and Eb—to draw it forth into our immediate consciousness. One such moment occurs at the very beginning of the development section of the fist movement. And we also hear, though most often in transposition, many moments where the tritonal relation becomes "harmonic," or simultaneous. For example, this conflation of Bb and E major early in the same movement. Quite a new sonority for 1903 and 1904. It is also a striking fact that once the key of Eb was so heartbreakingly lingered with in the third movement, it is not heard again except for the briefest of passages in the midst of the vast development section of the finale. Nor is the key of B, which preceded the final Eb tonality of the third movement, heard again. Perhaps the reason why is that at the end of the third movement, Mahler, in a technical tour-de-force, merges the two keys. At m. 158 we recapitulate "melodically" in B yet, as the recapitulation continues, we move in m. 173 to the "home key" of Eb. We have arrived tonally, yet in this "home key" we do not hear the "main melody." The two keys, then, share the recapitulation. We now are in a position to see why Mahler eschews not only Eb but also the key of B in his Finale. They have merged in our minds: to sound B would be to evoke Eb. And it is critical for Mahler's large-scale design not to backtrack in his arc from Eb, through C, to A. He needs to press forward; thus any "mention" of either Eb or B would hurt the power and the structural clarity of his ultimate "triadic" descending cadence. 3.8. What is the Correct Order of the Symphony’s Four Movements? From the foregoing, it is plain I agree with those who take the position that Mahler's initial plan for the symphony—Scherzo preceding Andante—is correct. A weighty structural bit of evidence is that this order allows Mahler to mirror, on a larger scale, the dramatic essence of the "fate" motif: the sudden presence of A minor after a triumphant statement of A major. That is exactly what we hear as the second movement enters in A minor after the brassy blaze of A major with which the first movement ends. No victory here, says the "fate" motif in miniature; no victory here, says the mocking second movement as a whole. These matters of tonal design are powerful evidence for the Scherzo/Andante configuration of the inner movements; meanwhile there is other evidence—though some of what follows is admittedly speculative. As already remarked, there is a general tendency in this symphony for things first encountered on a smaller scale to be met with again on a larger one. For example, the "a minor / F major" sonority that arrests us in the symphony's opening measures prefigures the fundamental tonal contrast of the entire exposition of the first movement. Now might it be that the symphony, as a whole, is meant to reflect, on a grander scale, the design of its first movement? Let's consider. The first movement begins with a "double exposition." So does the symphony—for the Scherzo, in both its tonal design and its motivic essence, "repeats" the first movement. 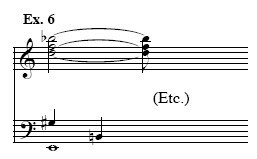 The third movement, an "idyllic" release, then corresponds to the "idyllic" heart of the development section of movement one--complete with a return of the Herdeglocken. The grand fourth movement, returning to the key of A, and making use again of nearly all the motifs from movements one and two, would then function, for the symphony as a whole, much as the combined recapitulation and coda do for movement one. The evidence that the Scherzo should precede the Andante is not merely technical; there are historical grounds as well. It is the form we find in the first published score; it is also the order in which he initially performed the symphony. And there is another “historical” aspect to be considered, which concerns two of the most ardent of the young “Mahlerians” of Vienna at the time: Alexander Zemlinsky and his brother-in-law, Arnold Schönberg. Zemlinsky was asked to come to Maiernigg, Mahler's summer retreat, in 1904 as the symphony was nearing completion. On the agenda was a discussion of die Vereinigung schaffender Tonkünstler in Wien, but it is likely that at this time Zemlinsky and Mahler also discussed the assignment to the younger musician of preparing the 4-hand arrangement of the symphony. Soon afterwards, in fact, he was given the job, and he and completed it in time for the reduction to be commercially available before the May 27, 1906 premiere in Essen (see La Grange 1995: 715; 1999: 810). In Zemlinsky's arrangement the movements are in the order for which I am arguing. Now it can be noticed that both of Schönberg's major works at this time, the String Quartet #1, completed in 1905, and the Chamber Symphony #1, completed in 1906, indicate a detailed knowledge of Mahler's symphony. There are many melodic and harmonic references in both of these works to the symphony, and in each the "scherzo" precedes the slow movement. Since Schönberg was close to Mahler at this time, one can imagine—even though "hard evidence" is not yet available—that the younger and older composers discussed the Sixth Symphony, and the logic of its design. At the very least, we must assume Schönberg and Zemlinsky went over it in detail. The sheer symphonic logic of this great work must have impressed itself deeply upon as creative and astute a musician as the very "logical" Schönberg, and so it is no surprise that his major works of these years reflect, technically, his admiration for it--especially the Chamber Symphony. When Mahler gave way to the doubts of friends about having the Scherzo come second, it is easy to imagine Schönberg—only just beginning detailed composition of the Chamber Symphony, and deeply respectful of the older composer's artistic wisdom--learning from his example, and altering his own plans. The fact he chose to "hold fast" to a Scherzo/Andante design could indicate, if my admittedly "speculative" reasoning holds, that he felt Mahler had yielded to "public pressure," but that he—the uncompromising "idealist," aware of how "right" the initial logic was—would not. Some further, albeit indirect, evidence for the correctness of the Scherzo/Andante movement order can be adduced through a consideration of the puzzling issue of why the Finale has a far heavier instrumentation than the earlier movements. Not only are there quintuple winds, Mahler added two more trumpets, and even considered adding three extra brass; and, of course, the hammer. These extra brass, it has been thought, may have been intended for final "threnody" at rehearsal #165. Wagner tubas are good, after all, for that kind of thing—as Bruckner had shown when using them, in the slow movement of his Seventh Symphony, as a memorial tribute to Wagner. However this may be, plainly Mahler felt he needed in some manner to "beef up" the Finale, to give it "extra sonic heft" relative to the other movements. The question is, why? The answer, I think, points us once again in the direction of confirming the wisdom of the movement order I think correct. For imagine the reverse: there would then have been two concluding movements in A minor—more than enough to make the "tonal point." But with a third movement in Eb, there would be only one movement to go. And even with one as long as this Finale, Mahler may have felt he needed more sonic force to "nail the tonal structure down." If all this is so, it would not--by itself--be an argument that Mahler was correct in expanding his instrumentation. Strauss, no mean judge in such matters, did feel the Finale was over-orchestrated; and this, by the way, after Mahler had already "lightened it a good deal, as one can see from Norman Del Mar's fastidious study of the history of the orchestration (Del Mar 1980: 109-153 deal with this matter in detail). What I am suggesting is that this possible "over-reaction" on the part of Mahler could be seen as another important bit of evidence for the rightness of giving the symphony its Scherzo/Andante order. Many commentators on this symphony deny the presence of the "fate motto" in the third movement (see, for instance, Floros 1997: 164). Strictly speaking, it is true; we do not encounter it in its original form, with that strong rhythmic accompaniment and with the melodic collapse of the third from major to minor. But the “Fate motto” is in this movement, only transformed. Consider m. 112 and 113. Rather than a falling semitonal inflection between the two possibilities of the third, what we hear is the equivalent inflection of the thirteenth. Further, if this movement is in the "key stone”—the center of the arch of the symphony, the point furthest from the tonic—then one would expect that just here the composer would bring about some "dramatic turn." And he does: nowhere else in the symphony do we meet so many "minor" chords immediately resolving into their major counterparts. We hear this in the very opening measures. These hopeful "tierces de Picardie" imply that "Fate" might be reversed. That hope is needed for the full tragic impact of what will follow in the Finale. The idea of "semitonal" inflection—so immediately dramatic in the impact of the "fate" motto—colors, on a far large scale, the entire symphony. Consider the A minor triad. F and Eb are inflections of E, and both keys are crucial in the symphony. The pitches C# and C, as we saw, fight it out in the motto, and are not unimportant tonalities in the work itself. In the final threnody, we feel the powerful presence of Bb in friction with the minor tonic A. Perhaps to highlight the meaning of Bb—to draw our attention to it--Mahler spelled the chord at measure 773 not as the expected German Sixth for A minor, but as an F 7th, the dominant of Bb. And here we unlock a key—pun intended. For the only tonality not to establish itself at all in this symphony is Ab. It seems that A, as "the bottom line" to this tragic story, must hold firm, must remain implacable. It is time to ask again, and even more directly, the question which, for a truly humanistic musicology, matters most: what do these abstract, compositional matters have to do with the undeniable emotional impact of the work? Let us return to elemental matters: every person has felt the sense and the senselessness of life, has observed the coherence and the imbalance of things, the strength and weakness. A symphony which, through the symbolic language of sound, deals centrally with these opposites would thus be one which grappled with critical matters of human feeling and human experience. Such a symphony would be of immense importance—for what is art but the achievement by a fellow human being of a more beautiful way of conceiving life, with all its difficulties, than we customarily have? Even when tragic, true art is inherently inspiring. In fact, it is not too much to say that art—as art—is always joyous. Recognizing the extraordinary simplicity of the basic symphonic design, we can see how subtle Mahler is about it, and how dramatic. And how, technically, he reconciles that deep-seated tonal contradiction. Notice: the "core substance" of the first half of the symphony is the A/F/D triad of tonalities; yet at the heart of movement one--its "idyllic core," complete with Herdenglocken--Mahler modulates through the keys of G, Eb, and Bb—which in combination outline the triad of Eb, the key of the "idyllic" third movement; the key most opposed to A minor. And if the opening movement carries in its center evidence of its tonal opposite, so does the concluding movement. As we have seen, the key of D plays such a dramatic role in the heart of movement four. Thus, on a vast scale, Mahler is making a one of the essential tonal opposites of the work; each of the critical outer movements carries at center the element most characteristic of the "triad" which is most representative of the other half of the symphony. At the deepest tonal level, there is a “solution” to its core conflict. Yet this is not all; there is far more suggestive evidence that Mahler wished to say something, through these themes, about love—and that in the symphony as a whole he was, in some manner, dealing symbolically with issues related to his marriage. The composer seems to imply—through the very construction of these two melodies—that opposed as they might appear on the surface, they also are inseparable; they have each other, figuratively, “in their hearts.” And at the height of the coda's A major ecstasy, they embrace in simultaneous counterpoint climaxing, in measures 471 and 472, with nothing less than a clear reference to the most emblematic “love music” Mahler knew: Wagner’s Tristan und Isolde. And the project which most engaged Mahler’s energies in the months before he began work on the symphony was Alfred Roller’s new production of Wagner’s masterpiece for the Vienna State Opera. As we explore the possibility that Mahler did in some manner—however conscious or unconscious—use the composition of this symphony to understand himself, including his relation with Alma, it is worth focusing attention on a very rare thing in symphonic Mahler: an unvaried repeat of a “sonata-form” exposition. Because he does exactly this in his first movement, we experience the “Gustav” and “Alma” themes in reciprocal relation: the relation of “interdependence”—of “proud need”—that characterizes true love. In the initial exposition we meet “Gustav” first, and later hear “Alma” embracing within herself aspects of him. Yet as this first exposition ends, and we circle around to the repeat, the situation is reversed: we now hear “Gustav” following “Alma,” and taking her musical motives into his heart. All this, of course, would be the rankest “anthropomorphism” were it not for the accumulated technical, biographical, and hermeneutic evidence making the surmise plausible. That there was a deep hope in Mahler that his marriage to Alma could truly complete him, and that there was also—as I indicated—a force within him working against that beautiful completion of one self by another, I think is clear from the biographical evidence brought forth earlier. Mahler likely never was fully conscious of this combat within him, but as artist he was nevertheless able to dramatize it, and give it beautiful, albeit tragic, form. The symphony thus has a meaning both intensely personal, and also widely impersonal. In it, Mahler created music of breath-taking candor about himself, but music equally true for and about us. Were that not the case, how could it be that for a full century this music has so powerfully stirred the emotions of audiences world-wide? Mahler was a wonderful example of the fight in a person between awesomeness and frailty. Does not each of these quotations correspond to the main "motto" of this work—with its trumpeting, blazing chord of A major collapsing into a painful minor of distant nasality? Are they not also congruent with the tonal planning of the symphony as a whole? And as we meet, through this music, the opposites in Gustav Mahler, are we also meeting the opposites in humanity itself? Even—it may be said—the opposites in reality, straight; reality at its philosophic beginnings? The aim of this essay has been to bring forth evidence that “Yes” is the soberly reasonable answer.